Frank is best known as a six day man but was in fact a very versatile athlete; his palmarès range for a Danish tandem title to a bronze medal in the 1976 Olympic team time trial by way of a Danish junior TT championship, national titles as a professional pursuiter and omnium rider to a European Derny title. He was also European [read ‘world’] Madison champion on three occasions, in 1981 and ’83 with compatriot and pursuit legend, Hans-Henrik Ørsted and in 1985 with prolific six day man (72 wins off 233 starts) Dutchman, Rene Pijnen. The European Derny title was his in 1984. Denmark’s most prolific six day rider was Palle Lykke with 21 wins but Frank was a close second on 20 wins off 143 starts with just seven DNF. He also accumulated 22 second places and 20 podium third spots – giving 62 podiums off those 143 starts, riding with 43 partners in 24 different cities. 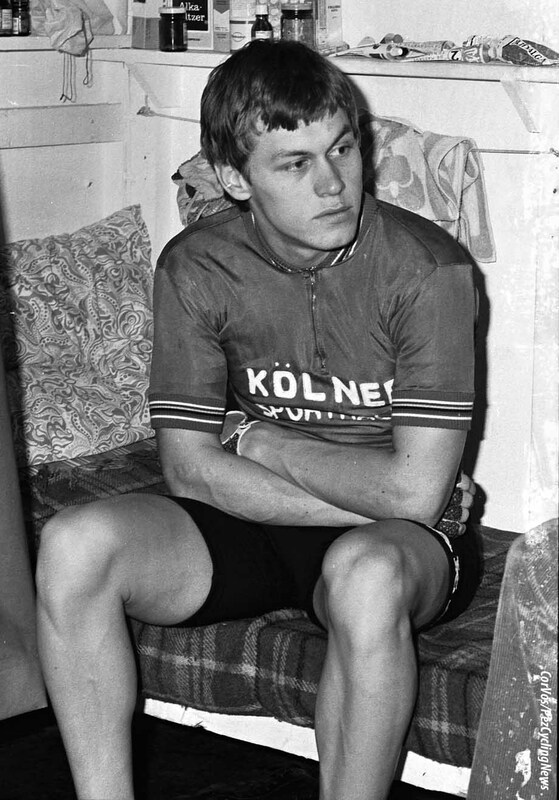 His name first appears on the palmarès radars in 1972 with a silver medal in the Danish junior TTT championships. He was in the winning team one year later and that same year he was Danish Tandem Champion with world and Olympic kilometre king, Niels Fredborg. 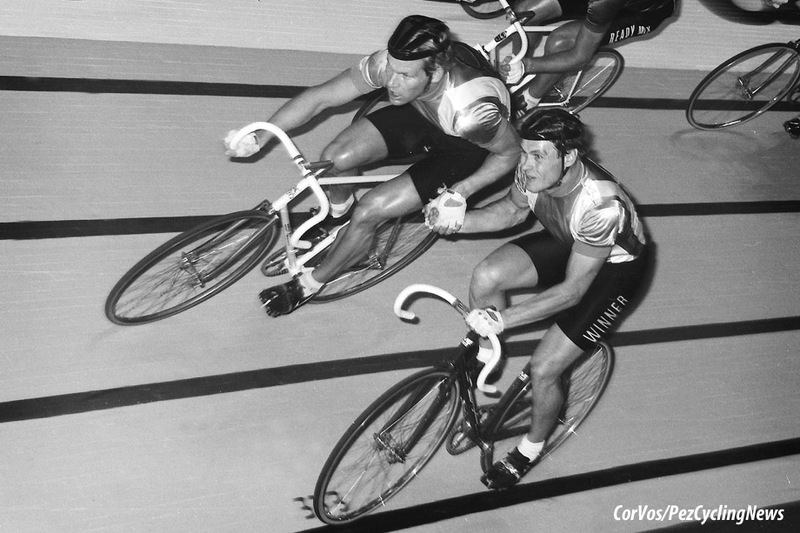 In ’74 he was junior national champion in the individual and team pursuit and in ’76 gained Olympic selection. The Danish foursome finished third in Montreal behind the Russians with Aavo Pikuus at their head and the Poles with the fabulous trio of Szurkowski, Nowicki and Szozda in the squad. One year later Frank claimed the first of his 20 six day wins in Herning – a city where he won five times – with Rene Pijnen. He would repeat his win there in 1979 again with Pijnen and the duo added Copenhagen for good measure. 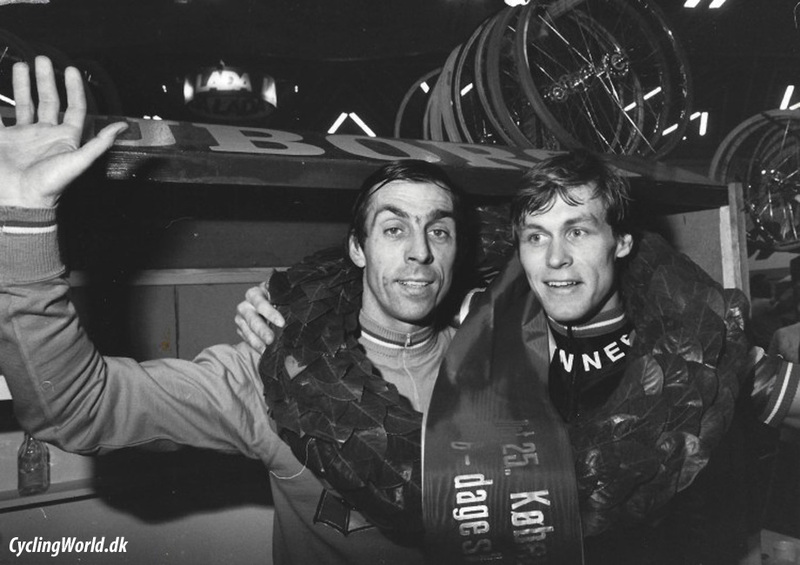 He took Herning again in 1980, this time with the Flemish legend that is Patrick Sercu and again in 1981 with Hans-Henrik Ørsted. He and Ørsted also took the European Madison title that winter. That 1981 season was indeed a strong one with additional six day wins in Dortmund with Ørsted, Munster with Pijnen and Ghent with Sercu. In 1982 the six day wins came further south – Grenoble with Frenchman Bernard Vallet and Madrid with Spaniard Avelino Perea – who incidentally was twice second in the Buenos Aires six day. 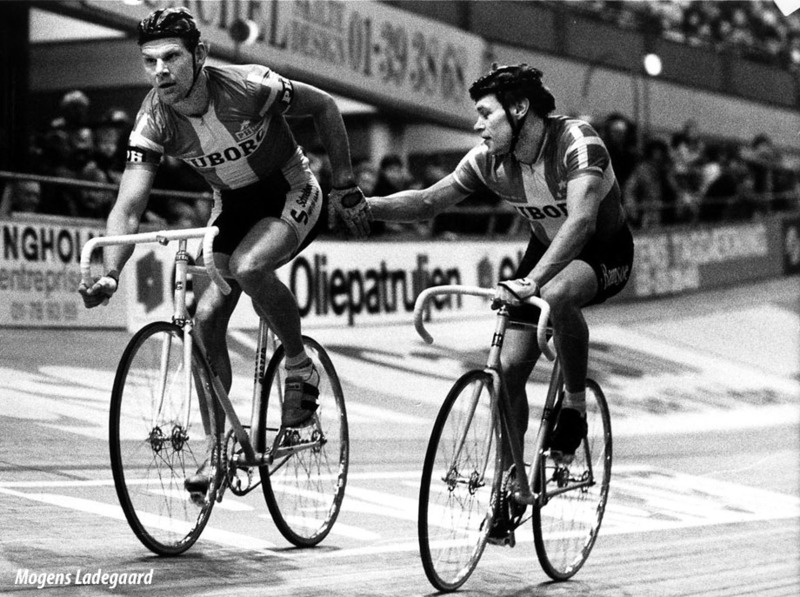 In 1983 there was a fifth win in Herning with Ørsted – with whom he took a second European Madison title - and another in Copenhagen with Sercu. His best six day season was 1984 with wins in Gent with Ørsted, Grenoble with Vallet again, Munich – the ‘six day world championship’ of the day – witH Ørsted, Paris with Vallet and Stuttgart with German strongman Gregor Braun. He also took the European Derny title. Copenhagen went his way again in 1985 with Ørsted as did Zurich with Rene Pijnen, with whom he won his third European Madison title. His final six day win came in Stuttgart in 1986 with Pijnen. And it must remembered that Frank’s successes came in an era when the three most successful six day men in history were at their most active – Danny Clark, Rene Pijnen and Patrick Sercu. Jørgen Marcussen: "He was a tough dog. A real væddeløber of old Belgian school. You never heard him complain, whatever the circumstances. Whether it was cold, rain, snow or if he should sleep on the floor." Didi Thurau: "I remember his class and great six days race victories! A great guy and human." Thomas Campana: "Very sad. I loved watching him on the bike...and without a doubt one of the best of his time." Danny Clark: "We have lost a great champion and friend. I am so sad, please give my condolences to all his family and friends." Don Allan: "Some years ago I was with Sercu and he said: 'Gert Frank had the most talent from us all.' Not bad coming from Patrick."